The Invest in Others Charitable Foundation, a 501(c)(3) charity that encourages, recognizes, and supports the philanthropic and volunteer activities of financial advisors in communities across the country and around the world, hosted their annual Community Leadership Awards on Thursday, September 18th. 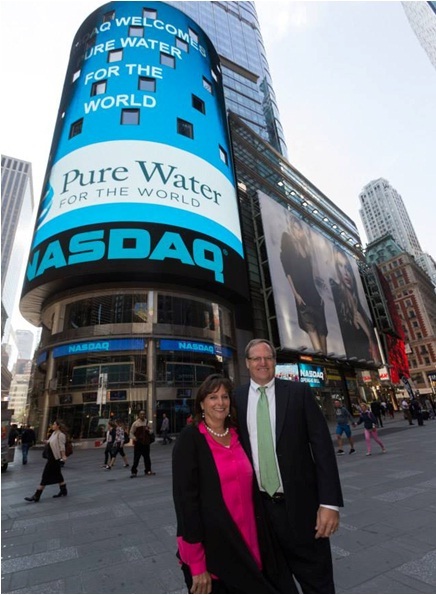 Randall M Thompson, of Lincoln Financial Advisors in Houston, was a finalist for the Global Community Impact Award, based on the work he does in Haiti with Pure Water for the World, a 501(c)(3) organization out of Rutland, VT. 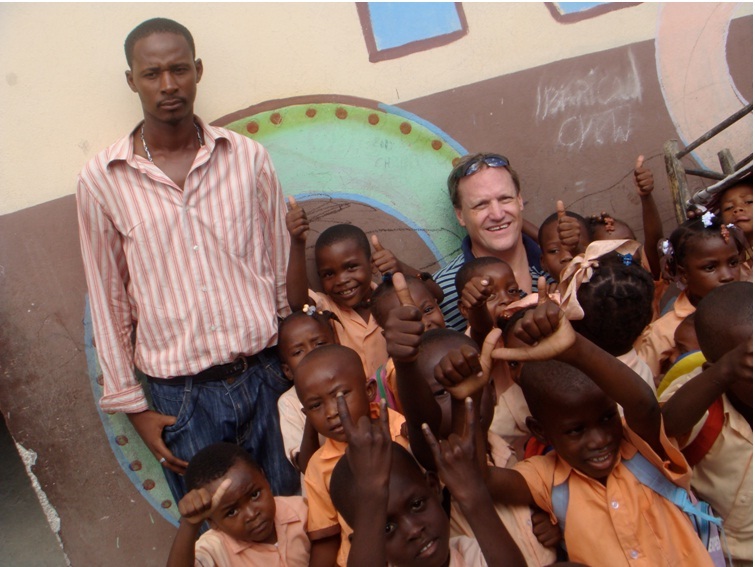 In 2010, Thompson volunteered to go to Haiti to survey the work of Pure Water for the World as a representative of the Rotary Club of Willowbrook, Houston, TX. “It was a sea change in my life — a very deeply moving experience,” Thompson shared. Pure Water for the World’s mission is simple but profound: to improve the health of children, families and communities in the developing world by providing them with sustainable water solutions, sanitation and hygiene education. Pictured above are Randy and Amy Thompson in New York to accept the Global Community Impact Award. Next picture is Randy in Haiti with students from School recently equipped with water filters from Pure Water for the World.